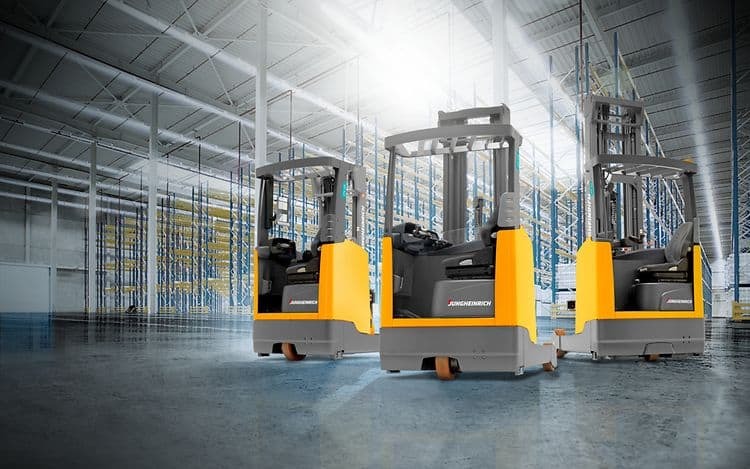 Forktruck Warehouse are a trusted Jungheinrich partner and offer the full range of new Jungheinrich forklift trucks, pallet trucks, stackers, reach trucks and VNA equipment. In Britain, Jungheinrich UK Ltd’s history goes back to 1963, initially registered as Jungheinrich (GB) Ltd, the fledgling company opened its first offices in Knowsley Street, Cheetham Hill, not far from Strangeways Prison in central Manchester. The initial team of five employees – armed with a single portable typewriter were soon hard at work and achieved a first year turnover of £50,000. In contrast, Jungheinrich UK Ltd now boasts a turnover of £175 million. 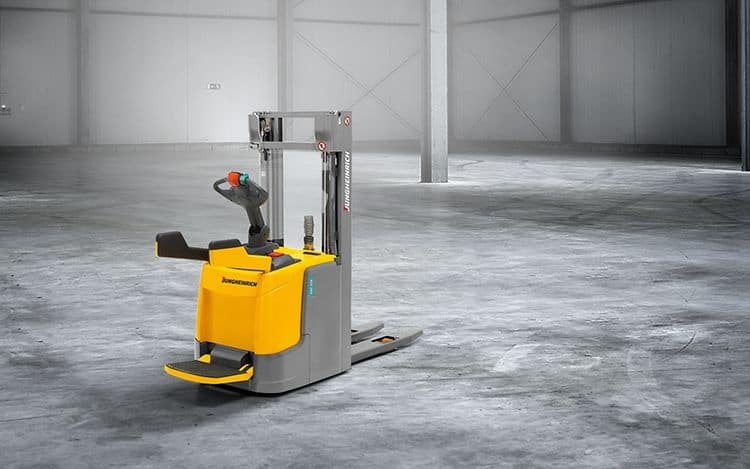 Jungheinrich pallet trucks and tow tractors are at the forefront of innovation, using regenerative braking to recover energy and feed it back into the battery for greater efficiency. Maximum performance even for inexperienced operators. Electric pedestrian controlled trucks are easy and safe to manoeuvre even in narrow spaces. Delivering reliable service and performance in warehouses across the globe. 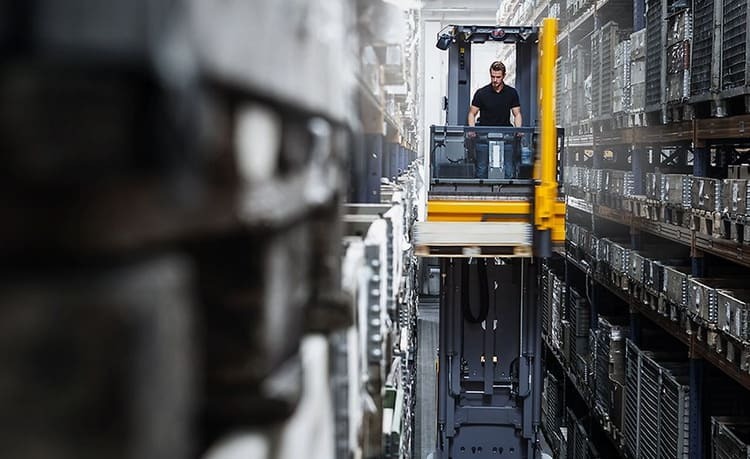 Particularly in confined conditions, Jungheinrich electric reach trucks set new benchmarks. Order picking requires the human/machine interface to function flawlessly at all times. 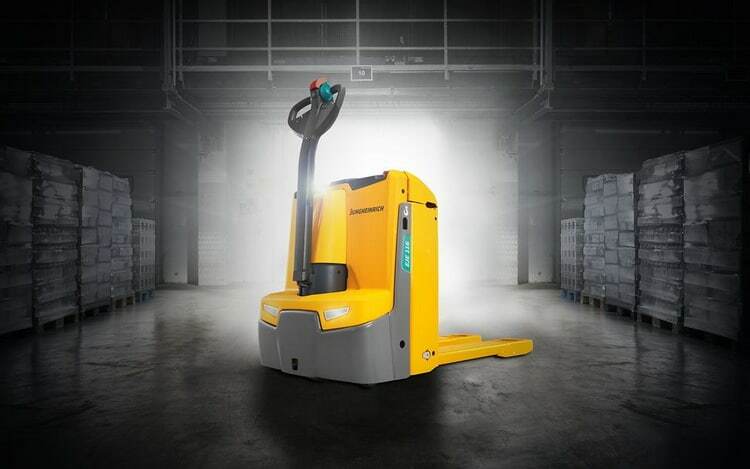 With a Jungheinrich you will benefit from enhanced travel safety and efficiency. 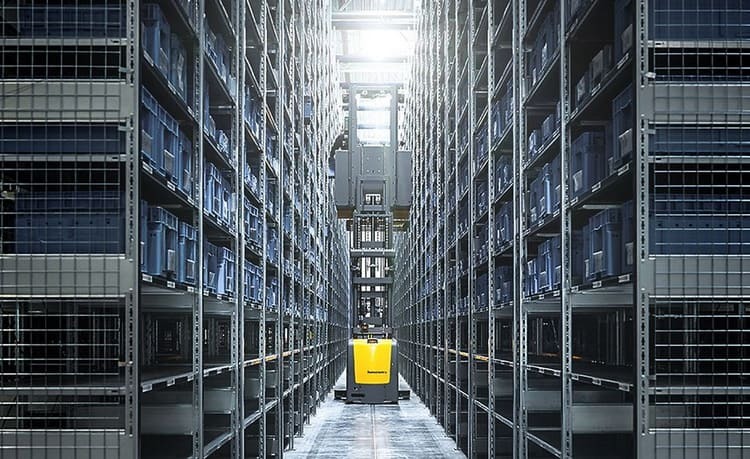 With Jungheinrich VNA trucks, you can stack pallets or pick individual articles with consummate ease. They impress with their throughput performance and space utilisation. 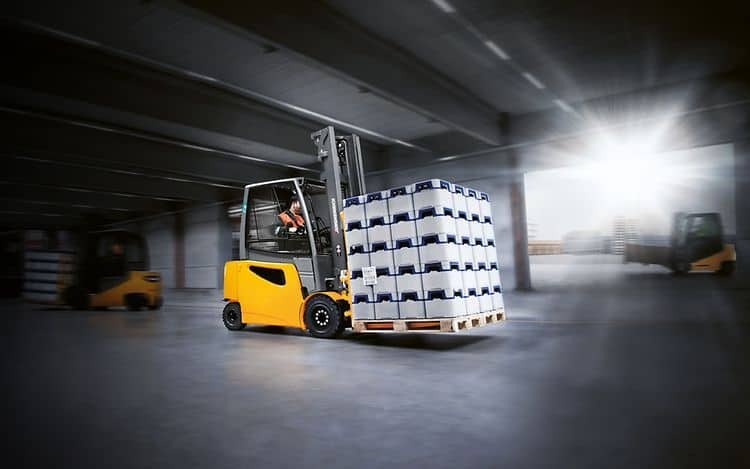 If you would like further details of any Jungheinrich forklift truck or warehouse machine, please contact our team here at FTW – The Forktruck Warehouse. We can offer help in sourcing the correct machines for your application.